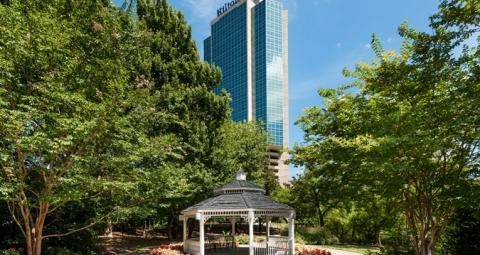 Located five miles from Washington, DC and Ronald Reagan Washington National Airport, the Hilton Alexandria Mark Center sits near a serene lake and botanical preserve. Enjoy world-class amenities including 55,000 sq. ft. of indoor-outdoor meeting space and the award-winning Finn & Porter restaurant. Make their hotel your home away from home as you bask in the joy and comfort of the furnishings in their comfortable rooms, conveniently equipped with WiFi access and Direct TV. Please call 703-845-1010 and identify you are part of the IQPC group to ensure the special rate (based on availability). The group rate is available three days before and after event based on group rate availability. Please make your reservation before April 5th, 2019, in order to ensure you are eligible for the group rate (based on availability). Please note that Exhibition Housing Management does not represent IQPC , nor have we authorized them to use our names or trademarks on information they send out to exhibitors. While we do not know enough about this third party’s intent, we recommend you reserve rooms with hotels listed on the conference web site. IQPC does not contract with any third party vendors to provide hotel reservation services. Any company saying or implying they are affiliated with the event for this purpose is not being truthful, and they cannot offer you the terms IQPC has negotiated with the venue. No one should contact you directly to book your hotel room or offer you a “special discounted conference rate” or “can save you $30.00 off your room rate.” If you receive one of these calls or emails, it is a scam. They are not associates of IQPC. If you receive a phone call from someone wanting to speak to the “tradeshow coordinator or the person who is handling SSON that your company is attending,” it is a scam and they are not affiliated with IQPC. If someone emails you claiming to be from any exhibitor or operations department, and the email is not from a iqpc.com email address, do not share any information with them. The company is not affiliated with IQPC and it is a scam.